Holidays in Cavalcaselle ↔ Discover Lake Garda! This genuine jewel surprises its visitors with a smart town centre. The cosy village of Cavalcaselle is located a bit off Lake Garda, between the Moraine Hills southeast of the lake. If you are looking for peace and tranquillity on the coast we recommend a holiday in Cavalcaselle. The village centre of Cavalcaselle at Lake Garda is particularly worth seeing. Here it is peaceful, comfortable and quiet because it is away from the tourist excitement. The village boasts typical regional details, such as narrow streets and narrow courtyards, as well as small romantic restaurants. Picturesque church in Cavalcaselle at Lake Garda. The worth-seeing church is located on San Lorenzo hill. In the small church, there is a worth-seeing painting dating back to the 15th century. The small locality is located between two moraine hills in the hinterland of Lake Garda. The Villa Arvedi was built between the 17th and 18th century and dazzles with its class and elegance. Inside the stately home, there are historical documents on the old estate as well as some ancient paintings. 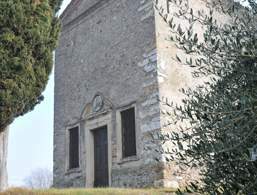 The little church, as well as the villa mentioned above, is in the possession of Count Pietro Arvedi d'Emilei. 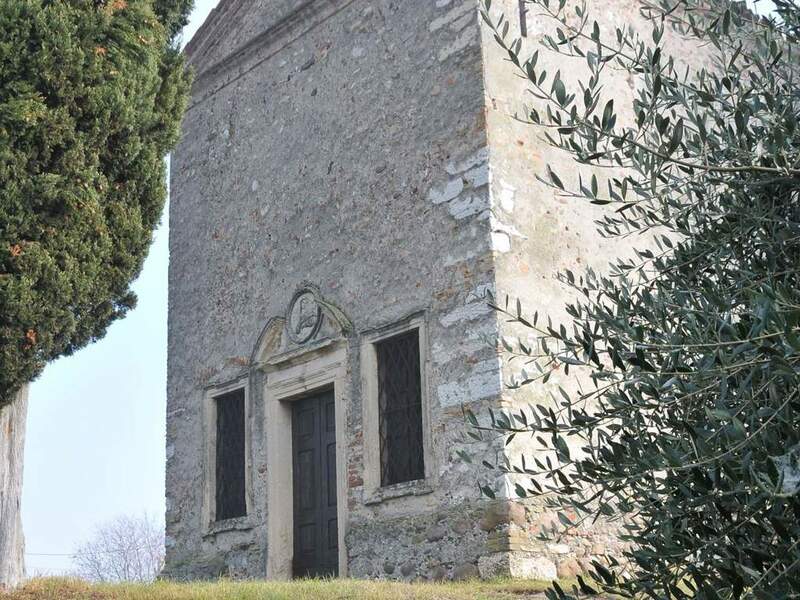 It is located on the San Lorenzo hill, which once served as an observation post by King Charles Albert when he had to defend Peschiera. The main attraction of the chapel is a painting from the 15th century, of Mary nursing the baby Jesus. In the village centre of Cavalcaselle stands the church of Santi Filippo e Giacomo. It was built in 1756. The wings of the side altars are decorated with paintings by Cignaroli and depict the Madonna with the Two Saints.